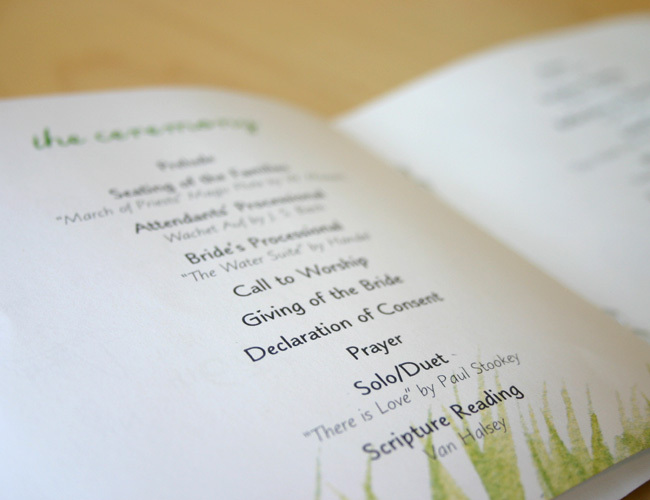 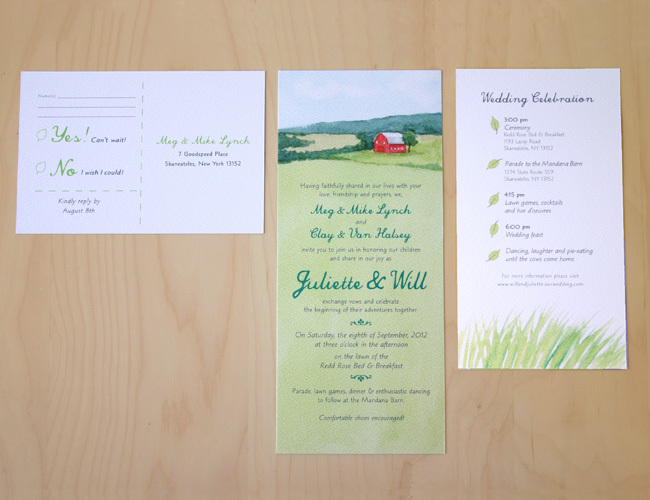 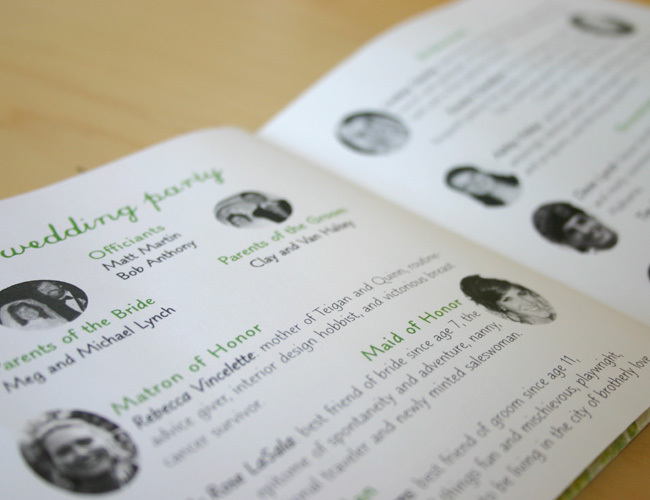 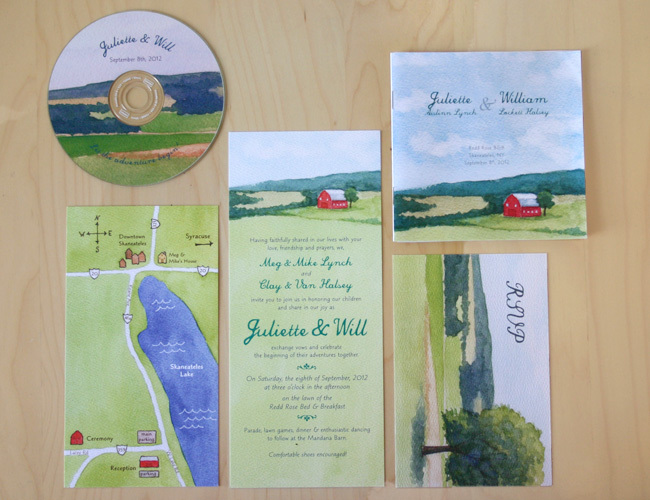 A suite of items was created for this wedding. 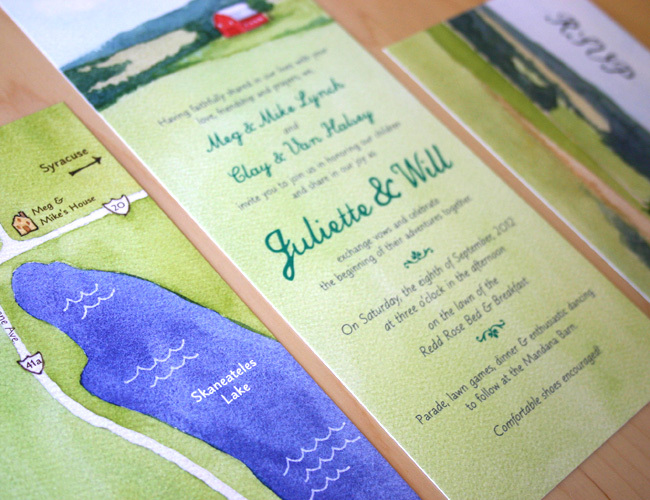 The invitation included watercolor illustrations for the invite, map, order of events and RSVP postcard. 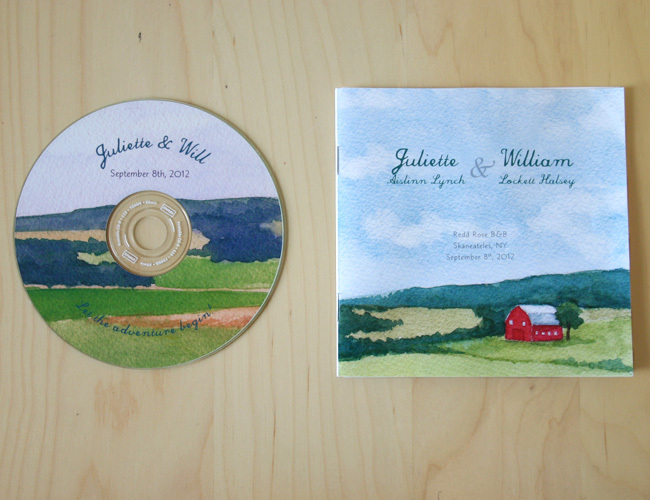 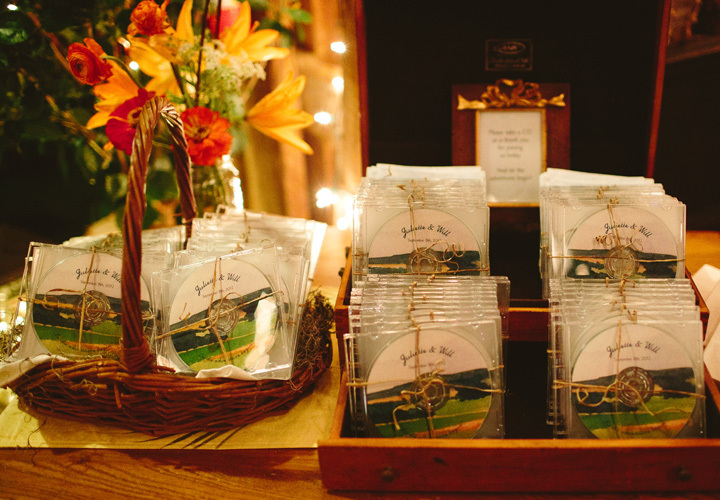 Additionally, the watercolors were used for the program and party favor: a mixed music CD. 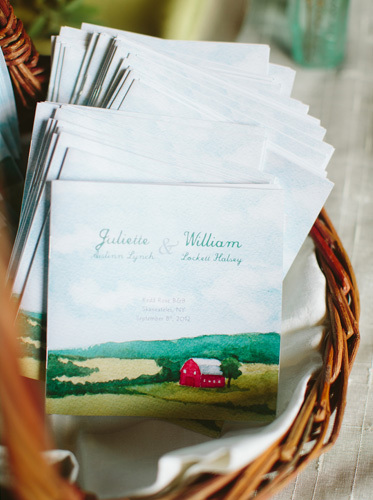 Visit halseyweddings.com for more wedding stationary.